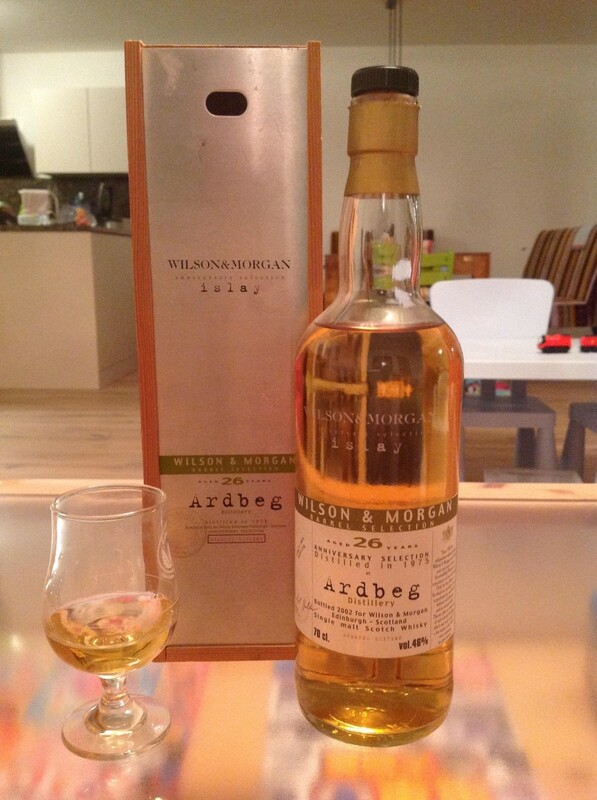 This Ardbeg was distilled in 1975 and bottled by Wilson & Morgan in 2002 as a 26-year old in their 'Anniversary Selection' series. Apart from this information I have not been able to find out much more about this specific bottling. The nose is rather light and starts off with delicate smoke. It is quite zesty at first, then turns sweet with notes of marzipan, fudge and liquorice, only to produce strong waxy flavours after a while. Towards the end there is black tea, followed by a hint of grass. 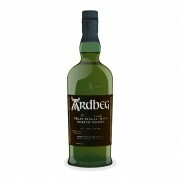 The palate is medium-bodied and smoky (of the campfire style). The liquorice flavours are back, together with notes of cereal and barley, and followed by vanilla and caramel. The finish is of medium length, with more liquorice flavours and notes of white pepper. Gently fading smoke marks the end. This definitely is not the typical Ardbeg flavour profile that I am familiar with, and as such it was interesting to try. No lemon flavours, none of the ashy smoke, no smoked ham or anything of the kind. On the other hand I was quite fond of the "farmy" palate and the liquorice flavours in every nook and cranny. For sure this was an interesting experience.